When a young woman was convicted of murdering her partner and sentenced to death, no-one could have imagined that she would study law and free not only herself but hundreds of others from death row. Now Susan Kigula wants to go further and set up the first legal chambers staffed by lawyers behind bars. What's about to happen next in a small, wooden panelled courtroom in Kampala, will be written up by the local press as a melodramatic confession to a gruesome murder. Standing in the dock one afternoon in November 2011, Susan Kigula is about to let the weight of the past 11 years on death row get to her as she turns to her stepson. "Don't you know that I love you so much?" she'll cry to the 14-year-old boy who is sitting with her late partner's family just feet away. The courtroom will be deadly silent as Kigula falls to her knees. "You know that I do love you so much?" she'll repeat. "I'm your mother!" 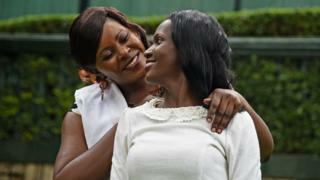 And then, turning to the family of her late partner, Susan Kigula will say sorry. The local press in Uganda will write it up as if it was a scene in a soap opera. A hammy admittance of a horrific crime. Except that's not what she meant, she says. You didn't confess to the murder of your partner, Constantine Sseremba? "No, dear," Kigula's voice is calm. She's been asked this question too many times to be offended. "I'll tell you my truth." Kigula was born in the Central Ugandan cattle-farming town of Masaka, about 134km (84 miles) south-west of Kampala. "Growing up I was a daddy's girl," she says. "I used to tell him that I wanted to work in a bank because I thought that was a good job and I would be strong and independent if I had a good job. I had a lot of dreams back then because my parents made me believe they could all come true." She and her three brothers and five sisters enjoyed a sheltered middle-class upbringing, centred around a close-knit church community. The children played in the open fields into the evening and ate together with their parents every night. "My happy childhood didn't prepare me for what was to come in adulthood," she says simply. 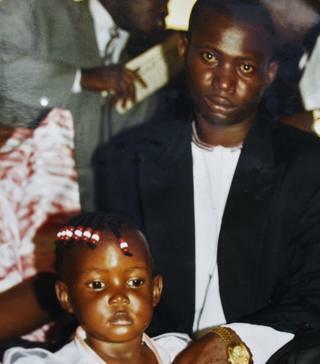 Kigula had been working for a couple of years in a small gift shop in Kampala when she met Constantine Sseremba, who, at 28, was 10 years her senior. They moved in together. The apartment was small, just two rooms, but Kigula says it was ideal for the family, which included Sseremba's young son from a previous relationship. They soon had a daughter of their own. "We loved each very much," says Kigula. "We would go to the cinema and the park and people would tease us. They would call us twins because we were so in sync. We were not rich but we were happy that we had each other. "We saw the best in our situation and we didn't dwell on the negative." It's an outlook that, many years later, would save her life. The 9 July 2000 could have been another forgettable evening, says Kigula. The young family ate dinner together. They laughed. Kigula and Sseremba, his son and their daughter retired to bed. They slept all together in the only bedroom. Their housemaid, Patience Nansamba, was on a mattress in the living area next door. Kigula says that she was woken up around 2.30am by a piercing, flashing blow to the back of her neck. "There was hot blood oozing from a wound there. The sheets were wet with blood. It wasn't just mine. "Because the main lights were off I couldn't immediately take in the scene or see what was happening to us. I sat up dizzily on the bed in confusion. "Then a small panel of light from the security lanterns outside came on and some of the room was lit. The children were unharmed. They were awake and distressed. "Constantine was on the floor, groaning. His neck was cut. It was all happening so quickly. "Our housemaid Patience ran into the room saying she had seen two people run out of the flat moments earlier. "My vision was blurring and I was unsteady on my feet as I made my way outside to alert the neighbours to come help us. I saw a couple of figures running away, but they could have been anyone at this point, I can't be sure they were my attackers. "I made it to a restaurant outside where I was given a blanket, I hadn't realised that I had run out of the house naked. "I was still bleeding and then my vision started blurring. I passed out." Kigula woke up hours later in hospital, the wound to the back of her neck still throbbing, to hear that her partner had died. She was told that her family were looking after their one-year-old daughter Namata and Sseremba's relatives, with whom she had a frosty relationship, had taken his three-year-old son into their home. It dawned on her that up until that moment she had lived a happy life; a contented childhood, a successful relationship, a good job. That was all gone now, she thought. Kigula's father informed her that the families had arranged Sseremba's burial for the following day. "My mind was a whirlwind. I couldn't understand what had happened or why. Whoever had come to attack us was targeting both of us. Who wanted me and Constantine dead? I thought about it a lot. It bothers me still." There was no obvious motive for the attack. Nothing had been stolen. After Sseremba's funeral, Kigula was being driven back to the hospital when she heard an announcement on the radio that made her freeze. The news reader announced that Constantine Sseremba and his 21-year-old partner, Susan Kigula, had both been murdered in a bungled burglary. "I thought, 'Oh my god, the person who tried to kill us both had arranged a joint obituary assuming we would both be dead by now. They thought they'd get us both.'" Then, three days later, Kigula, still receiving treatment for her large neck wound, received a visit from the police. To her amazement, they charged her with murder and took her straight to a maximum security prison on the outskirts of Kampala, to await trial. Sseremba's family said that her three-year-old stepson had seen Kigula and the housemaid kill his father. "I was naive in that moment," says Kigula. "I thought, 'Obviously all of this is a mistake. The poor young boy is traumatised and confused. I'm innocent and of course people will see that.' I had no idea how the legal system worked." She didn't hire a lawyer. She couldn't afford one and, anyway, she was confident in the justice system. But two years later, Susan Kigula and Patience Nansamba were found guilty of the murder of Constantine Sseremba - based on the testimony of Sseremba's now five-year-old son. Police also said that a blood-stained panga, a machete-like farming tool that was found in the doorway to the bedroom of the flat belonged to Kigula. The murder conviction came with a mandatory death sentence. The women were told the method would be hanging. 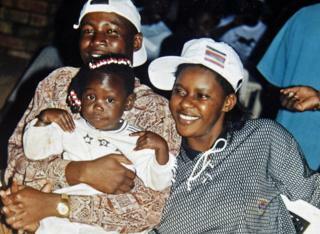 Kigula looked at her now three-year-old daughter, sitting with her parents, and burst into tears. 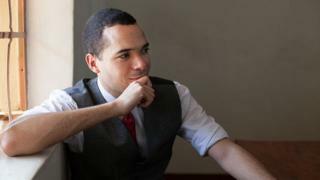 It was 2005 and 20-year-old British student Alexander McLean was taking a break from his studies, after obtaining a law degree. After finishing school, a few years earlier, McLean had volunteered at Mulago Hospital in Kampala, hoping to bolster his CV for university, and had been deeply disturbed by the dire conditions there. He saw patients lying on unswept floors, often in pools of vomit and blood. Their families were required to provide fresh sheets and towels, but when the patients were prisoners, relatives often left them to fend for themselves. McLean found himself drawn to these patients, some of whom were handcuffed to their beds. Curious about the conditions they faced in custody, he visited Luzira Upper Prison. "I was struck by how massively overcrowded it was, how young the inmates were, how few had had decent legal representation," he says. A particularly gruesome, and avoidable, death of a young male prisoner in the jail prompted McLean, on his return to London, to raise money for healthcare facilities for prisoners in Uganda. He set up the African Prisons Project. 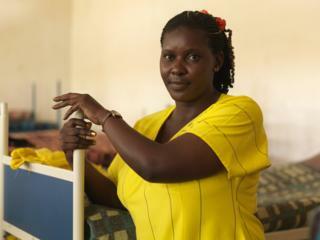 When he returned to Uganda in 2005 to oversee the refurbishing of the sick bay at Luzira Women's Prison, Susan Kigula began to act as his translator. She made an instant impression on him. By this time Kigula had been in the prison for five years. "Every day I would wake up and think, 'Is this the day that I will be hanged?'" she says. But when asked what conditions were like her response is unemotional. "Prison is prison," she says, without expanding. Kigula shared a cell built for one person with three other women. They used a bucket as toilet. A 2011 report into Ugandan prisons by Human Rights Watch said prisoners often slept on one shoulder, packed together so that they could only shift if an entire row agreed to roll at once. Inmates were sometimes confined in isolation cells, the report said, often naked, handcuffed, and sometimes denied food; the cells occasionally flooded with water up to ankle height. Kigula doesn't want to talk about such things. But she is keen to tell the story of how she obtained her freedom. I decided, 'We have to do something. We have to change our attitudes.' So I started by forgiving the people who put me in prison. For the first few weeks in prison Kigula, then aged 24, and the 50 or so women in her section would talk to each other about their impending death, about who would care for their children outside. "As I got to know the women I began to learn that many of them, like me, had been wrongly accused of crimes. Some were guilty but none of them deserved to be sentenced to death because the crimes they had committed were crimes of passion, they told me. Some of the crimes were a result of years of sexual and physical abuse by partners. I became a leader among the prisoners. I decided, 'We have to do something. We have to change our attitudes.' So I started by forgiving the people who put me in prison. I encouraged the other women to do the same. Then I decided to get to work." Kigula mobilised a choir, she wrote songs, she started playing netball and led the prison dance troupe. To keep her spirits up, she spent more time with positive thinking inmates. She learned that the men in the neighbouring wing had access to education whereas women prisoners did not. She asked the prison administration if a small group of them could take courses in History, Economics, Divinity and Management at secondary school level. The Acting Commissioner for Welfare and Rehabilitation asked Kigula how she planned to operate a school without teachers. "Let me try and be the teacher to start with," she replied. They used textbooks donated by their families and the prison wardens connected them to the school in the men's prison, which started sending the women study notes to help them. They held their classes under trees. When the wardens saw the women were dedicated, they expanded the resources and allowed more classes, with Kigula and some of her friends playing a leading role. Kigula says the prison wardens would provide support and encouragement. Another motivating voice came from Alexander McLean, the young British founder of African Prisons Project, who had returned to oversee the refurbishment of the sick bay - a project that resulted in a sharp decline in deaths of inmates (from 114 the year before the refurbishment to 12 in the year of completion). "I saw that Susan was dynamic, she mobilised and motivated people," says McLean. "She had great humility - she would kneel down to speak to the prison wardens, which is the custom at that prison. She never tired of serving others." 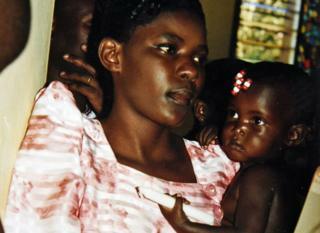 McLean had been working with Ugandan authorities to improve conditions beyond the sick bay too. His organisation sponsored sports activities, ran mother-and-baby reading groups and adult literacy classes. 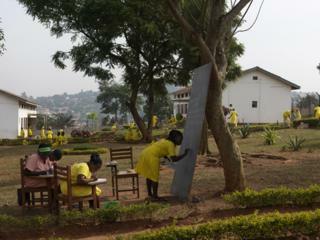 Kigula acted as an intermediary between the charity and the prison authorities on a project to open a prison library. In 2011 Kigula and a group of other prisoners, supported by African Prisons Project, became the first Ugandan prisoners to take a correspondence course with the University of London, studying law. The project was a huge success. As time went on, prison staff would come to her for legal advice. Then Kigula started a legal clinic in prison to help fellow inmates with bail applications, writing memorandums of appeal for them, and teaching them how to represent themselves in court, if they couldn't afford a lawyer. She helped dozens of inmates get released from prison. Emboldened by her academic success, Kigula decided, even before she completed her University of London degree, to organise a petition challenging Uganda's mandatory death sentence. The process would take years. "The Ugandan public is generally very conservative and reluctant to see what could be perceived as a softening of the law with respect to criminal justice matters," says McLean. 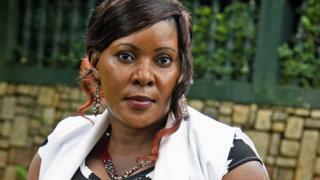 Susan Kigula and 417 Others vs Attorney General is a landmark case. The petitioners, all on death row, aimed to abolish capital punishment by declaring it unconstitutional. When the Supreme Court of Uganda gave its ruling, on 21 January 2009, it did not abolish the death penalty. However it did rule that a sentence of death should not be mandatory in cases of murder, and that a condemned person should not be kept on death row indefinitely - if a convict is not executed within three years, the sentence is automatically turned into life imprisonment. And, in light of these changes, the Supreme Court ruled that death-row inmates could go back to the High Court for retrial. Kigula would have another day in court. It was at this moment, in November 2011, that she called out to her stepson, using the word "sorry". But Kigula says this was not a confession - as the press chose to interpret it - it was an expression of regret for what he had been through. She still proclaimed her innocence, pleading not-guilty to murder for a second time, but the court - and the media - were not convinced. The High Court reduced Kigula's sentence to 20 years, and with four taken off for her time in remand, Kigula was released from prison in 2016. To begin with, it felt like an alien, new world. "It was like I was walking on the moon! I could not believe what was happening to me," she says. Her father had died while she was in prison and her mother had been killed in a road accident just two months before her release. Kigula now has new goals. She wants authorities to reduce the sentence of the remaining 417 inmates from her petition - although dozens were released, like her, some are still behind bars. Working with Alexander McLean and African Prisons Project, Kigula plans to establish the world's first prison-based legal college and law firm, where prisoner lawyers would represent peers who can not afford legal help. "The hope is to create a new generation of servant lawyers who follow in the footsteps of Susan and the others who pioneered this alongside her," says Alexander McLean. "The legal system in Uganda is not like the UK's." "People can be put in prison for being gay, women are on death row for not being able to get care for a sick child in rural areas, or if their husbands commit crimes and can't be found. Of course there are guilty people in prison but we believe that everyone deserves due process. We believe everyone deserves a second chance to be of use to society. Susan has always maintained her innocence and she wants to serve her community." Kigula now lives with her sister and her 19-year-old daughter. Life is good again, she says. Ugandan teenager Tumusiime Henry was in jail charged with two murders when he met American lawyer who offered to help.